This Day in Presbyterian History · April 9: Dr. John Calvin Taylor, M.D. April 9: Dr. John Calvin Taylor, M.D. MEDICAL MISSIONARY JOHN C. TAYLOR, SR.
On December 13, 1973 the Lord called Home one of His faithful servants, Dr. John C. Taylor, Sr., who for more than fifty years had given of himself, his time and his talents to his Lord and Saviour, Jesus Christ, and to the people of India. He was a man greatly beloved of the Lord and by the people of India whom he served so faithfully and so lovingly. 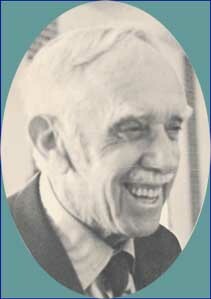 Many are the people who will remember Dr. Taylor for his great love and sacrificial service to them as he sought to bring to them physical healing for their bodies through means of his medical knowledge, and spiritual healing for their souls through his know¬ledge of the Word of God and his personal testimony to the power of Christ to save lost sinners. John Taylor was not only a medical doctor but also an ordained minister of the Gospel and a real evangelist. Born in Richmond, Kansas on April 9, 1886, of godly parents, John Taylor early came to know Christ as his personal Saviour. On August 14, 1913 he married Elizabeth Siehl, and together they went to India in November, 1914 and were stationed at Roorkee, U.P. where they labored for half a century, returning to the U.S.A. for retirement in October, 1967. They served under the Reformed Presbyterian Mission which, in 1965, became World Presbyterian Missions, the foreign board of the Reformed Presbyterian Church, Evangelical Synod. Mrs. Taylor passed to her Heavenly Home in March, 1970. Some years later, God provided another helpmeet for Dr. Taylor in the person of Mrs. Elizabeth H. Daniels, and the remaining years of Dr. Taylor’s life were enriched through her fellowship. 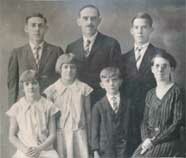 Dr. Taylor was survived by his widow, Elizabeth D. Taylor, three sons—John, Jr., Carl and Gordon, and two daughters, Margaret Courtwright and Gladys McGarey. 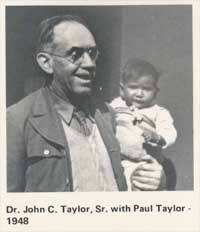 A friend of both the high and lowly, Dr. Taylor became almost a legend in India. He was a man of faith and action, a good example of the kind of Christian of whom James writes, “I will show thee my faith by my works.” Nothing was too hard or sacrificial for him if, by doing it, he could help ease the physical or spiritual suffering of his fellowman. He especially ministered to the poor and downtrodden people in the villages of Northern U.P., India. 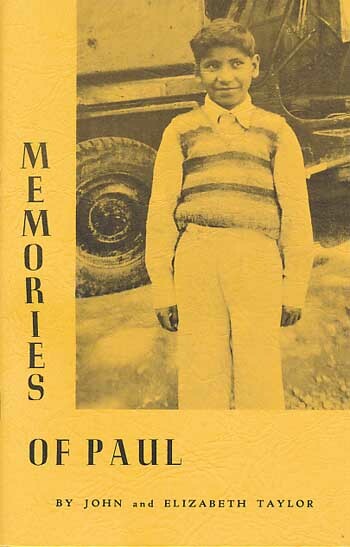 His work varied from village evangelism, medical clinic work, relief work during the awful days of partition between India and Pakistan, to the founding in 1945 of the Children’s Home and Baby fold for the children of leprous parents in Bhogpur, which is now under the direction of his son, Gordon, and which now houses some 200 children. Dr. Taylor had the joy of seeing a number of these children come to know Christ as their personal Saviour and then go out to serve Him full time. Several of the children studied in the Theological Seminary at Roorkee and are now preaching the Gospel in India, and several more are now students at that Seminary. Others have gone into other fields of service where they are also witnessing for the Lord whom they came to know while at the Children’s Home. During his semi-retirement, Dr. Taylor wrote of his experiences in India, which have been published in book form, India—Dr. John Taylor Remembers. This book reflects his touch with people, an essential ingredient in the life of any servant of Christ. Dr. Taylor was a valued member of the Saharanpour Presbytery of the Reformed Presbyterian Church, Evangelical Synod, and served his last years on the field under World Presbyterian Missions. To those who had the privilege of serving with him in India, he was a tower of strength and wisdom in so many matters concerning the work; but he was more than this—he was a kind and loving friend and counselor and a true “brother in Christ.” To many of the Indian Christians he was like a father. To the struggling National churches he was a guide and stay and inspiration. We rejoice that God gave him the great joy of seeing the beautiful church building at Bhogpur finished and used for the worship of Christ, before he retired from active missionary work in India. This building was erected largely through the efforts of Dr. and Mrs. Taylor and will be a continuing memorial of their sacrificial service for Christ and the people of India. Please take the above testimony as a good reminder to pray for our many missionaries, wherever they may be serving.